In the heat of the day, with the sun held straight above, Jesus was resting by a well. He was tired from his recent journey, traveling around Galilee healing the sick, feeding the hungry, and now here he was, sweating under the sun in the middle of Samaria. He had sent his disciples into the local city of Sychar to procure some food and was enjoying some “me-time” by the well when a woman appeared. Now, you might not know this, but Jesus definitely did; nobody goes to the well at noon. Its too hot out around lunch time when the sun strikes the ground. Most people went either in the cool of the evening of the cool of the morning. 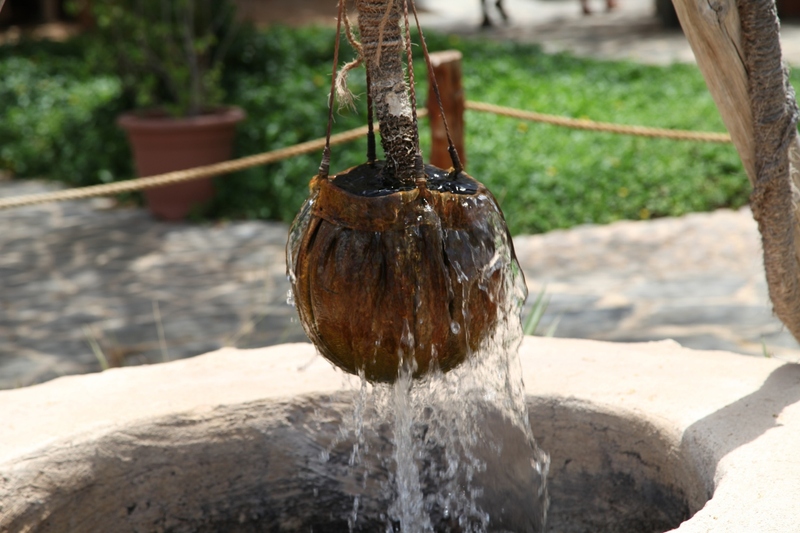 At those times the local wells were bustling with women, gossiping about the coming and goings in town, while taking care of retrieving water and washing clothes. Sometimes, no matter how much explaining, no matter how many metaphors you use, no matter how many illustrations, people will not get the point. 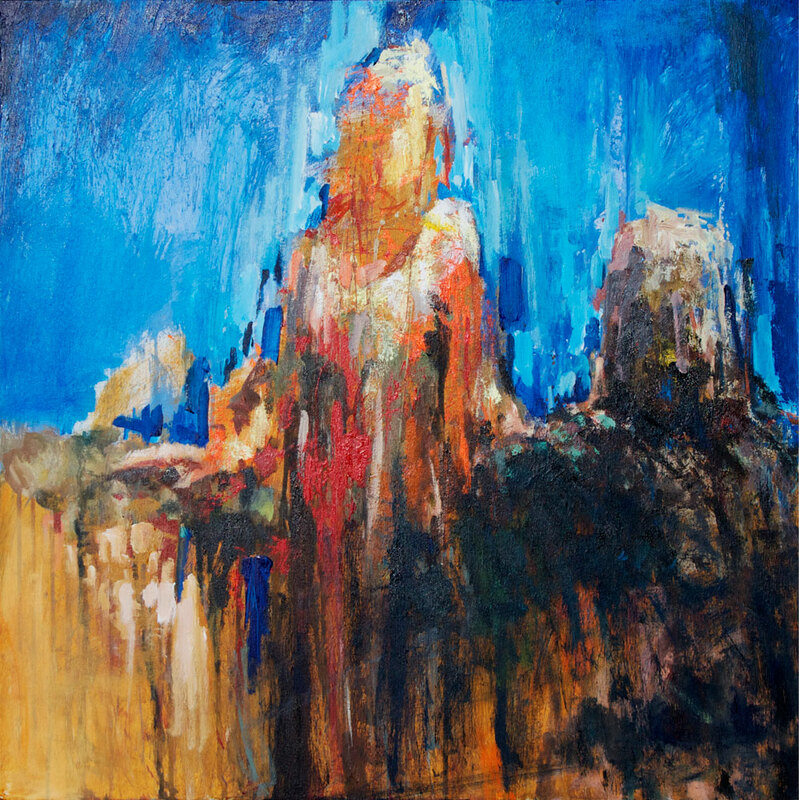 During the heat of the day, that strange time to draw water, Jesus revealed the depth of his ministry to this unnamed woman and she doesn’t get it. Jesus’ words “If you knew…” are perfect for describing the situation. If she knew who she was talking to, if only she knew what living water was, If she knew then she would have understood. But living water is not necessarily an easy thing to grasp. I love this story. Its filled with so many wonderful details that could each become their own sermons. For instance, I love the fact that Jesus was tired. Many of us are tired within our lives. A tired Christ therefore must understand what its like to feel this way, as no one else ever could, Jesus could perceive the struggle in the woman by the well just like he knows our struggles. In that small, seemingly insignificant detail we discover that Christ is with us, because he is like us. Its Christ’s humanity that brings him down to us, and in his divinity that we are brought to him. 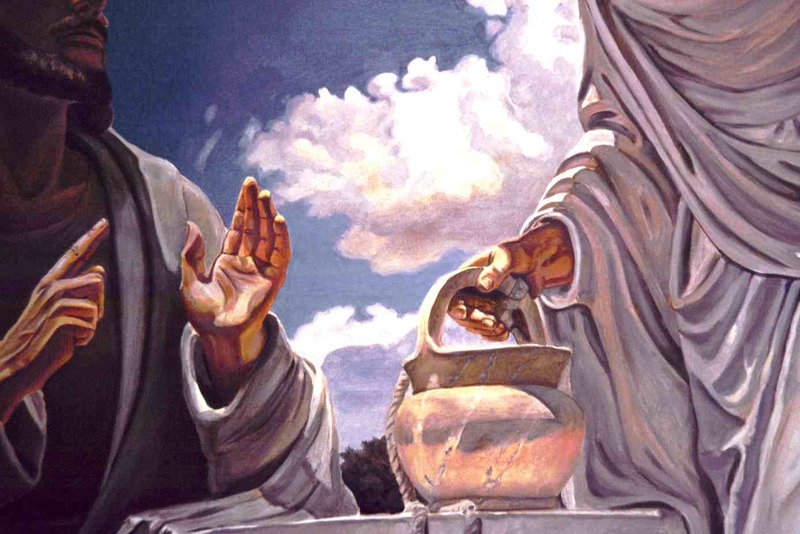 Another detail: The woman approaches Jesus, but he makes the first step that opens this great story: “Give me a drink.” There is no shadow of a doubt that what draws most people to Jesus is not so much what he gives us as what he asks. We are moved and drawn toward Christ because he looks on us to help, offering us a share in this thing called the kingdom of God. So the unnamed woman is reeled in with this simple request. Another detail: After a short debate about the historical prohibitions about a Jew and Samaritan interacting with one another, Jesus declares and offers his “living-water,” Though he repeats his description numerous times, the woman misunderstands. How often are we presented with an aspect of the Gospel, perhaps for our entire lives, and we still never really understand what its all about? So, what is the point of the story? Is there one? Are we supposed to walk away from this feeling Christ’s living water gushing up from within us? Are we supposed to offer Christ’s living water to our friends and family? In many ways, the focus of the narrative rests in the fact that Jesus, as a Jew, is in enemy territory. The most substantial detail is in the fact that he offers the living water to the least likely of persons: female, Samaritan, we discover later that she was a frequent object of the men in town, the focus of gossip, and isolated from everyone else. It was to the least of these that Jesus attempts to reconcile the divided nations of Samaria and Israel. “So,” my professor asked, “what happened? 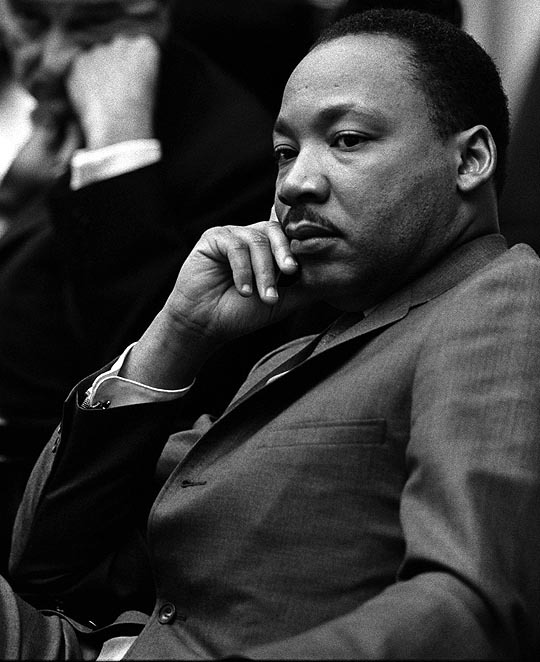 !” Well, he got so nervous, and he was sweating, and fidgeting, and rehearsing what he might say, but there was a small problem: Martin Luther King Jr. was asleep. I mean what was he going to do? Wake up the leader of the Civil Rights movement? So he just waited, sitting there, staring at him, watching him sleep. After the flight had nearly reached its destination, he finally opened his eyes. “Dr. King I don’t know what to say. You are my hero. I just traveled all the way to DC to help march for Civil Rights, you are such an inspiration, I am so impressed with…” “Thank you. God Bless.” he interrupted, seemingly ending the conversation. But the young man was undeterred. “Dr. King you don’t understand, you have changed my life, you have opened my eyes to the many opportunities that are not available to others… “I appreciate your kind words son.” Dr King interrupted again. However he was was not finished, “Dr. King, you don’t understand. My father is a racist. I left home because of him and his prejudice. He offered to pay for my college, but I have cut all ties with him. We have not exchanged a word in years because of his racial bigotry.” At this point Dr. King’s eyes widened, he turned his body to face this young college student and he reached out and grabbed him by the collar, “You have got to love your father. Whether he’s racist or not, loving him is the only thing you can do.” And with that he let go, closed his eyes, and promptly fell back asleep. It was at that moment that my professor’s roommate realized that Dr. Martin Luther King Jr. really was a prophet, beyond all expectation and assumption. In the story of the woman at the well, Jesus began to reconcile a very old, and very real division between the Jews and the Samaritans. The whole story is about religious tensions and a church which sought to overcome them in the first few centuries. Though portrayed as a simple interaction between two individuals at a well under the heat of the sun, the narrative has major religious implications for us, even today. Just like with Nicodemus, the conversations points to something great and profound that will change the way that we interact in the world. The gospel, in all its magnificence, is incarnational in its ability to use everyday realities to convey a deeper sense of the divine. But here’s the problem: when we confront a text such as this we tend to think of it it in large grandiose terms; Jesus reconciled the Jews and Samaritans. There is no church unfamiliar with ancient and large divisions within people: Catholic and Protestant, Jew and Christian, Faithful and Faithless. But, like the man on the airplane learned, sometimes the reconciliation needs to occur much closer to home. 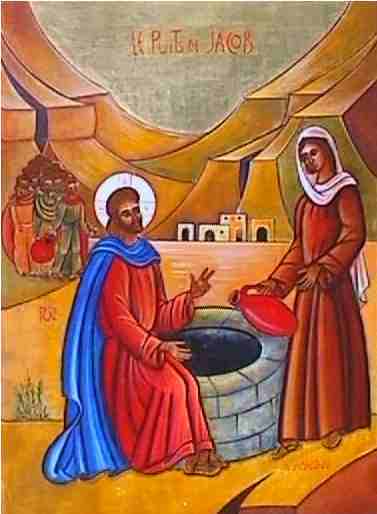 When Jesus met the woman at the well, he offered the beginning of a new life to the least likely of candidates. Before him stood an unnamed woman, a Samaritan, a polygamist, a focus of gossip, and a isolated individual. The first reconciliation did not take place at a theological council, or a political rally, but it happened face-to-face. I would venture to guess, that in all of our lives we have “a woman at the well.” He or she might not be as obvious as the character in our narrative today, but we all know someone who has been ostracized from the group. Whether its that kid that everyone else makes fun of at school, or that politically opposed neighbor you have living down the street, or maybe its someone within your own family. Its sad considering how easy it is for us to cut ties with people around us as if their hearts and souls were just another commodity for us to examine, purchase, and then throw away. Martin Luther King Jr. sat on a plane next to a young college student and reminded him that the truest forms of Christian living happen at home, within our own families and friends. Jesus, our Savior, sat at the well and in the simplest of conversations help to re-establish a woman’s life. With simple questions and the beginning of a friendly relationship he gave her the kind of identity that she had lost in her life. He provided her with one of the greatest gifts the world has ever known: he gave her a sense of worth. “If you knew” was Jesus’ great rebuttal to her ignorant question. How much of our lives are wasted and could be reignited by that little phrase? If you knew that man who stands on the corner every Tuesday morning has nobody else in the world and needs a friend; If you knew that in your own family there is someone who has lost their identity and needs to rediscover a sense of worth; If you knew that your son or daughter wants to reconnect even if you don’t; If you knew that the stranger asking for a drink was actually Jesus; would you do it? Jesus calls us to love one another. Not just the people we worship with, not just the people who make us feel comfortable, but the last the least, and the lost. Where is the woman at the well in your life? How will you greet her the next time you meet? This entry was posted in New Testament and tagged Alone, Discipleship, Jesus, John, Living Water, MLK Jr., New Testament, Preaching, Relationship, Weak, Well, Woman. Bookmark the permalink.